The crazy pace of work, commitments, and managing a household, mixed with family and social life often make it impossible to get everything done. Evansville Errands can help. Let our professional assistants wait for the cable company, schedule repair or cleaning services, home sit while you are away, unpack after your move, re-stock the refrigerator before you return home from a trip, and so much more! Special requests are our speciality, so call to discuss your specific household management need. Need that 4-hour window to do something other than wait at home? Let one of our personal assistants wait for the cable technician, repair company, delivery service, or any other home appointment you have scheduled. We will do the waiting so you can focus on things in life that matter the most! Traveling for business or pleasure? Evansville Errands will keep your household running smooth while you are away. Our professional assistants can collect the mail, take out the garbage, rotate the lights and blinds, check the pool and even water the plants. Create your custom house sitting checklist and consider it done! Moving? Switching out the holiday decorations? Getting ready for the remodel? Evansville Errands can assist you with all of your packing and unpacking needs. 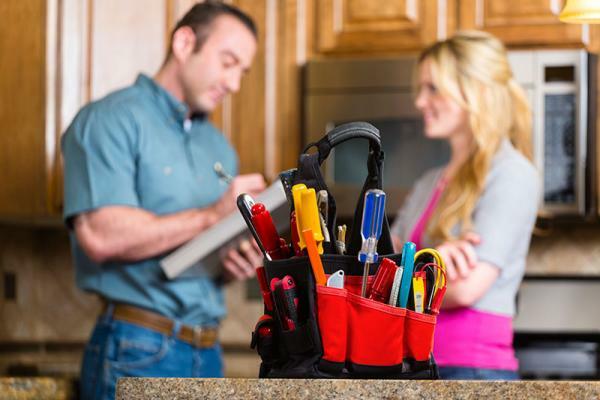 Is your honey-do list growing longer by the day? Don’t have a reliable honey to do the work? Contact Evansville Errands today and we will refer and schedule the professional that you can rely on to complete your request. Repairs, house cleaning, yard service, and more...Evansville Errands works with the best so you can consider it done! We have very stringent requirements before we ever refer a service that we can’t do ourselves. Every professional we refer must have an A-rating with Angie’s List, positive rating with the Better Business Bureau, insured and bonded if necessary, and must maintain an A-customer-survey average from Evansville Errands customers. Returning from vacation? Been away for a long business trip? Evansville Errands professionals will have everything in order upon your arrival home. Create your custom to-do list such as cleaning services, grocery shopping, mail and package pick-up, and much more. Whether you want to keep that vacation feeling a bit longer, or return home to relax, Evansville Errands will take care of the to-do’s so you can focus on the things in life that matter the most.